What were you doing on Earth Day? 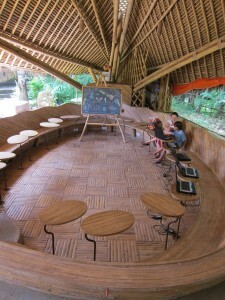 We were at The Green School (known herein as TGS) in Ubud, Bali, our first stop in Indonesia. The New York Times, BBC, CNN, FT and others have covered the green school recently; it’s just that unusual and interesting. Josh said it felt like something straight out of Swiss Family Robinson. I’m not sure how they describe their philosophy but I heard the term “focusing on the whole child” a few times. Meaning that it’s not just wrote educational learning, but bringing out creativity and spontaneity as well. Or, I think that’s what that means. Either way, it’s definitely the first time I’ve ever felt like I might want to go back to school. Many tourists can arrange a tour outside of school hours. We were lucky enough to be invited for the Earth Day celebration, a school holiday and open house for families and friends. For the school assembly, each grade produced a lesson about earth day that ranged from an original song and band music that was good enough for Idol, to video game style videos. Then they did open house in each grade’s classroom for the rest of the afternoon showing us their smarts and creativity about how to make raw chocolate (with sticky samples) and how bamboo a sustainable material and yet pretty. Their classrooms are stunning with no windows and only natural light as the backdrop. The school produces all of it’s own food. In fact, school lunches are produced from what grows and is raised on the farm. And I can attest my taco and smoothie were delicious. They, of course, seize the opportunity to teach students about sustainability and food nutrition. 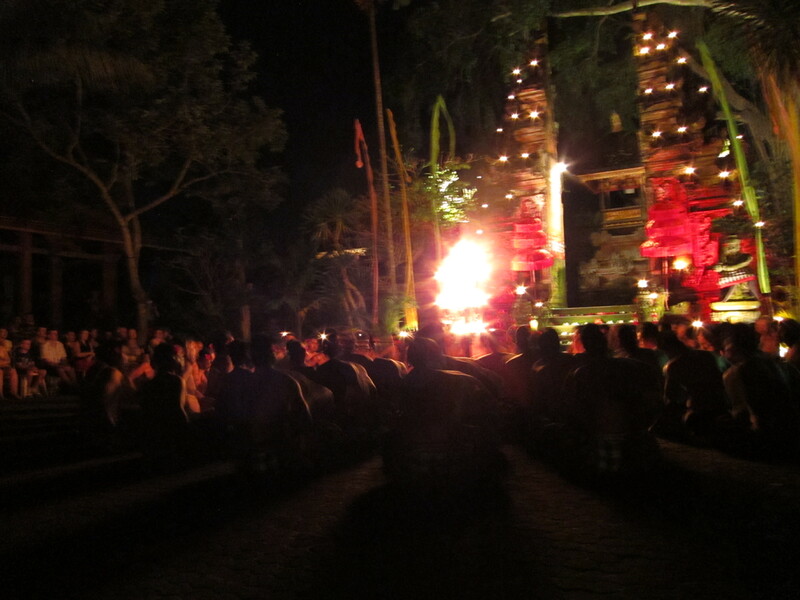 The really cool thing is that this year they plan to produce 100% of it’s own electricity. 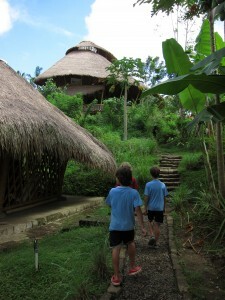 All the buildings and classrooms are made of ecologically sustainable bamboo; the nerve center of the school is actually the largest bamboo building in the world and is an architectural wonder with a vortex staircase going up three stories and comprising three massive building that connect. 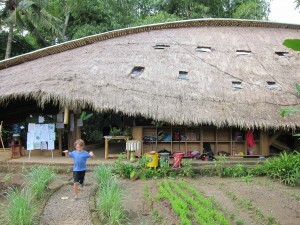 So, hippy school in the jungle? Absolutely! 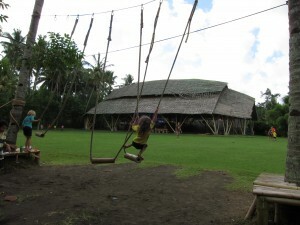 But with such a creative and fun place to learn, these kids are already standing out. I can’t wait to see how TGS graduates choose to leave their mark on the world. 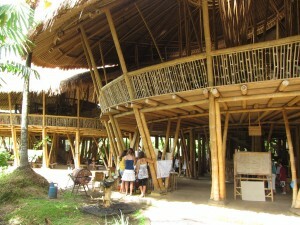 The schools main building and the largest bamboo building in the world. This photo only captures 1/3 of it. Football field and gym in the background. 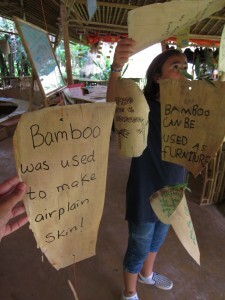 5th grader teaches us about all the uses of bamboo. Apparently there are a lot. Going up to the main building.